Unlike many people, I do not look forward to the weather dropping. I live my best life when the weather is warm, I don’t have to wear tons of layers of clothes, pants are optional, and sun beating on my skin is the best feeling. I tried to bask in my glory throughout September as the days of Summer was dwindling, and without a doubt, it was a good month. Here’s a roundup of some of the things I got into during September. Started the month off by playing board games at Guthrie’s with my friend Jeanette. I began volunteering at One Tail At A Time and Alive Rescue. I prefer hanging out with dogs than humans anyway. One of my favorite things to do is to treat myself to the movies. I went to my first dine-in theater experience, and honestly, I can do without it. Why would I want to eat non-finger foods at the movie theater? I went to see Searching (must see), A Simply Plan (fun flick), and White Boy Rich (don’t see it). It smelled like onions. Why would I want to sit in a room for 2 hours that smells like onions? Ventured out of Chicago to Rockford, IL with my friend Alice as I attended a wedding with her. A series of unfortunate events kept happening. Due to time, I had to change in her van, and with all that stress, I couldn’t fit into my dress. Luckily, she had an extra dress in her car for me to wear to the wedding that perfectly fit and blended with the wedding’s aesthetics. Alice didn’t have much rest the night before, and I’m always up for a nap, so we spent the majority of the wedding in her carnapping. But overall it was a beautiful and fun wedding (dancing to 90’s/2000’s rock music). I was invited to attend a Girls Scout Fundraiser, Smart Cookies. You can read about my experience here. 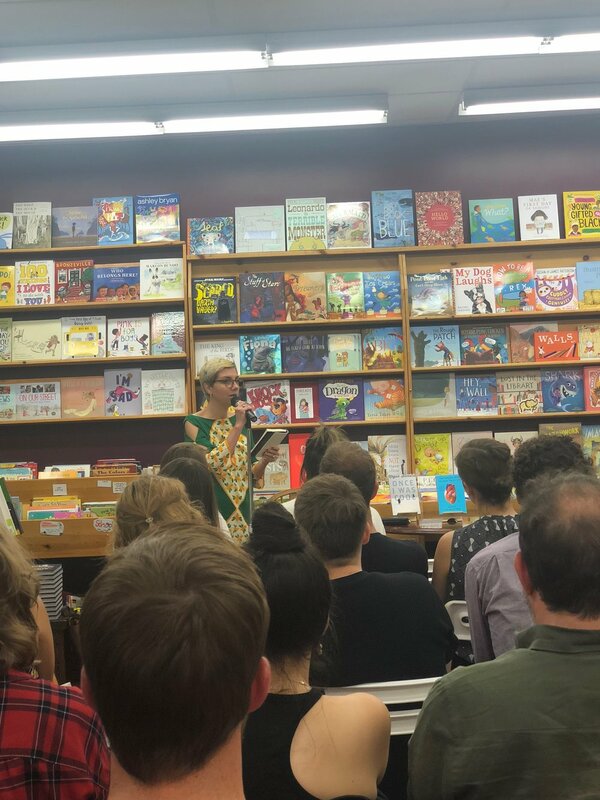 I went to see one of my favorite music journalists, Jessica Hopper, at her book signing of her new book Night Moves which is basically a love letter to Chicago. Plus, I got to meet her and looking back, I regret not asking for a selfie with her. The fam and I randomly decided to go to Six Flags for Fright Fest. I’m not into roller coasters so I was a coat holder while my sister and niece enjoyed the rides. Once 6 pm rolled around, all the employees were in their scary costumes freaking the customers all night. It was a lot of fun. I did ride one ride… a 4D one though. My high school/college celebrity crush, Tony Reali followed me on Twitter. I joined Twitter because Reali joined, it only took 9 years for my goal to happen. NEVER GIVE UP! Went to the Goodman Theater to see There’s Always the Hudson which was hilarious yet gut-wrenchingly depressing. I spent an afternoon/evening with my niece, Simone. We first went to the wndr museum pop up, then went to Chinatown for the first time to have some Korean fried chicken at BonChon Chicken and rolled up ice cream. We had a good time and we super exhausted by the time we got home. Now it’s October! Ready for all things hard cider and trying to figure out what I’m going to be for Halloween.